Open floor concept Colonial-3 BRs, 2 full baths. Eat-in Kitchen, sunken Family Room w/wood-burning fireplace, enclosed 3-season porch, formal Dining Room, Living Room, bonus room currently being used as an office. Hardwood floors on 1st floor & under carpeting in bedrooms. 3rd floor full attic for extra storage, and a partially-finished basement. Recent updates include new vinyl windows, full Bath on 1st floor (with radiant heat), and updates to detached garage. Long driveway can fit 3-4 cars. Only 1/2 block to NYC bus on corner. 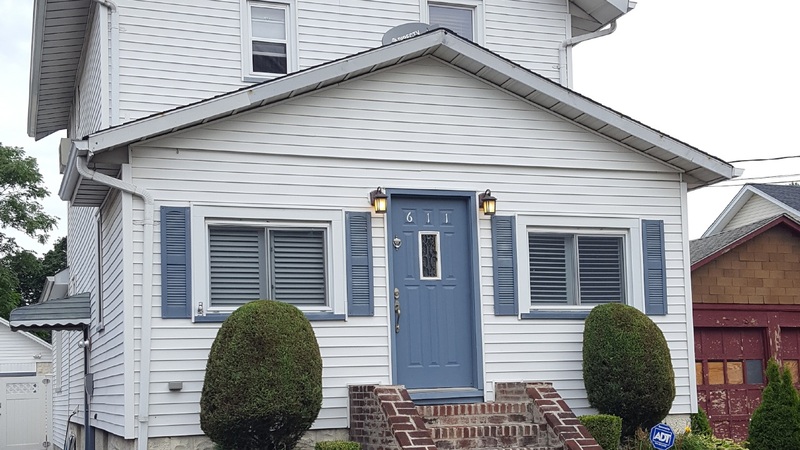 Short walk to NJ Transit, schools, shopping & major highways. HOUSE BEING SOLD AS IS!